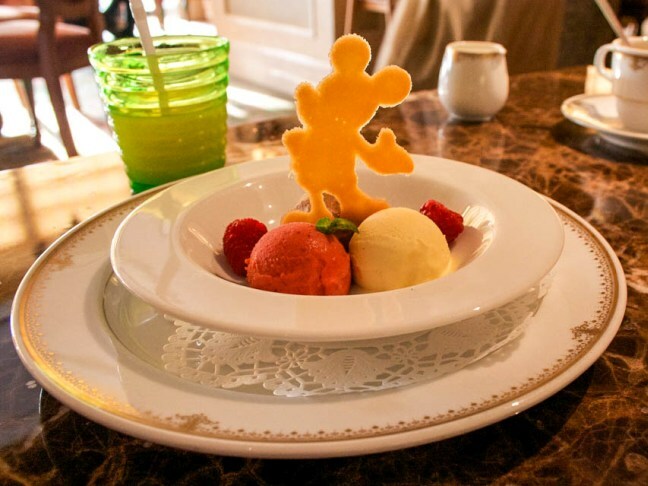 DO know the difference between dining at Walt Disney World and dining at Disneyland. They are two completely different beasts. And I don’t mean the kind of Beast that lives in a castle and has an impressive book collection. When planning a Walt Disney World trip, it is recommended you plan out your dining well in advance, so you can book restaurants at your 180-day “advanced dining reservation” window. The Disneyland Resort is smaller and has less guests visiting its parks on any given day, so making dining reservations is not as urgent. But if there is somewhere you really want to visit (such as the popular Blue Bayou restaurant at Disneyland) it is recommended you make a reservation as early as possible (within your 60 day arrival window). DON’T always get the Dining Plan. To Dining Plan or not to Dining Plan, that is the question. Walt Disney World offers a pre-paid dining plan that a lot of guests swear by. But before you automatically add it to your vacation package, be sure to do the math and make sure it’s right for you. The convenience of simply swiping at card whenever you visit a restaurant may not outweigh the costs if you’re a light eater! The Disneyland Resort also offers a very basic dining plan for character meals but it’s really not needed, in my opinion. It’s just for one meal, so you still have to pay out-of-pocket for the rest of your meals! And remember, the Dining Plan doesn’t guarantee you a spot at any certain restaurants. You still have to make reservations. DO know the difference between “sit down” and “quick serve” restaurants. A “sit down” restaurant is any restaurant where a host or hostess seats you at a table and a server takes your order and brings you your food. A “quick serve” restaurant is any restaurant where you order your meal at a counter and your food is given to you right away. Generally “quick serve” is a cheaper and quicker option (hence the name)! DON’T forget about your five servings of fruit and vegetables a day. In the land of churros and Dole Whips, it can be easy to fall off your diet. Check the fruit stands for a quick and healthy snack, such as an apple or carrot sticks. The fruit stands may not be located on the park maps, so ask a Cast Member where you can find them. DO get to know your character dining options. There are lots of them and some of the best ones (in my opinion) take place at the hotels! At The Disneyland Resort, my favorite character dining is the “Surf’s Up! Breakfast with Mickey and Friends” at Disney’s Paradise Pier Hotel. Classic characters such as Mickey, Minnie, Daisy, and Stitch, are all wearing their summer fun outfits. Sometimes there are interactive games and dancing with the kids (and some adults, too…no judgment). At Walt Disney World, 1900 Park Fare at Disney’s Grand Floridian Hotel offers breakfast and dessert buffets with appearances by some rarer characters, such as Mary Poppins and The Mad Hatter. There are plenty of character dining options to choose from at both Walt Disney World and The Disneyland Resort and they are all great, so be sure to make some time for this experience during your visit! DON’T worry about food allergies or intolerences. Visit City Hall for a list of restaurants which can accommodate certain diets or food allergies (vegan, celiac, peanut, etc.) and bring up any restrictions to your host/hostess or server. In severe cases, ask to speak with the chef directly and they usually will accommodate you! Mindy is a lifelong Disney junkie and Disneyland Annual Passport holder for longer than she cares to mention. Since 2012 she has been using her vast knowledge of all things Disney to help guests plan their Disney vacations as a travel specialist affiliated with Fairytale Journeys Travel Agency. 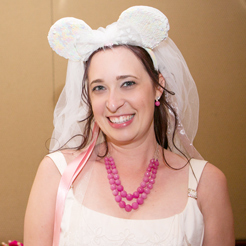 She also writes about Disney themed parties, weddings, fashion, food, and breaking news at Inspired By Dis. For a free travel quote, please contact Mindy at mindym@fairytalejourneys.com. You can also follow Mindy on Twitter, Facebook, Pinterest, Instagram, and Google+.